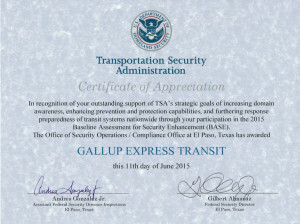 Gallup Express - Award Winning! 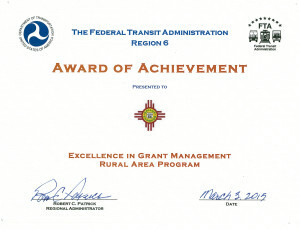 Gallup Express – Award Winning! Comments Comments Off on Gallup Express – Award Winning! 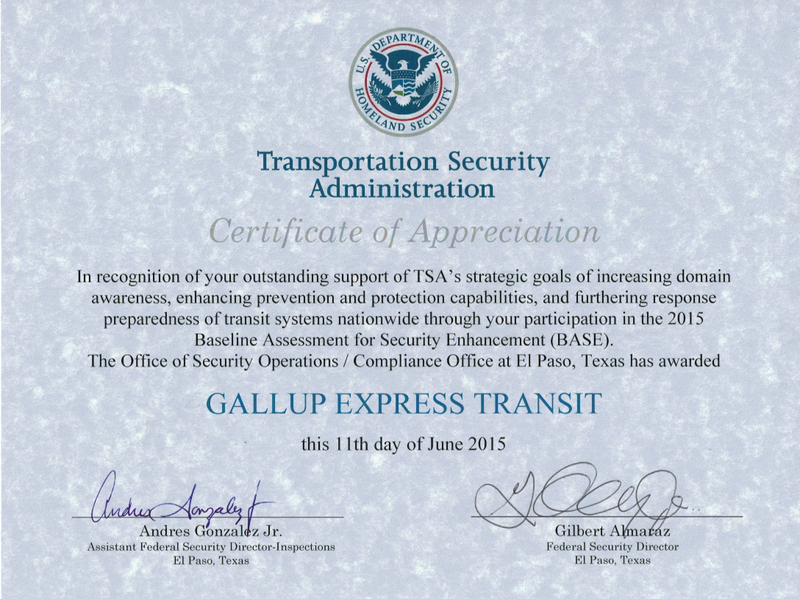 8 June 2015, Comments Comments Off on Gallup Express – Award Winning! We’re proud to announce our second award – a certificate from the TSA regarding our commitment to the safety and security of our riders and community. 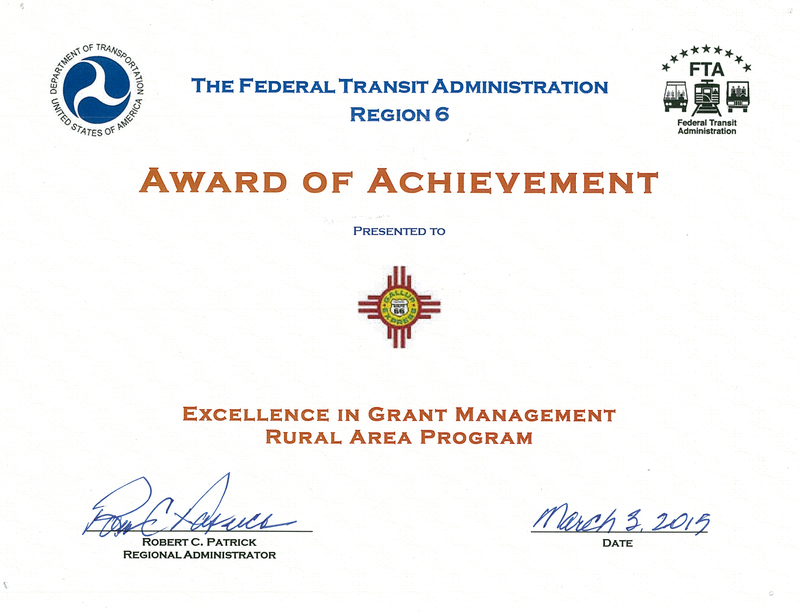 We are extremely proud to have earned this award, and look forward to continuing to expand our service to the Gallup and Zuni areas in the future!